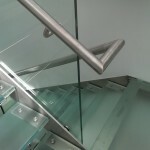 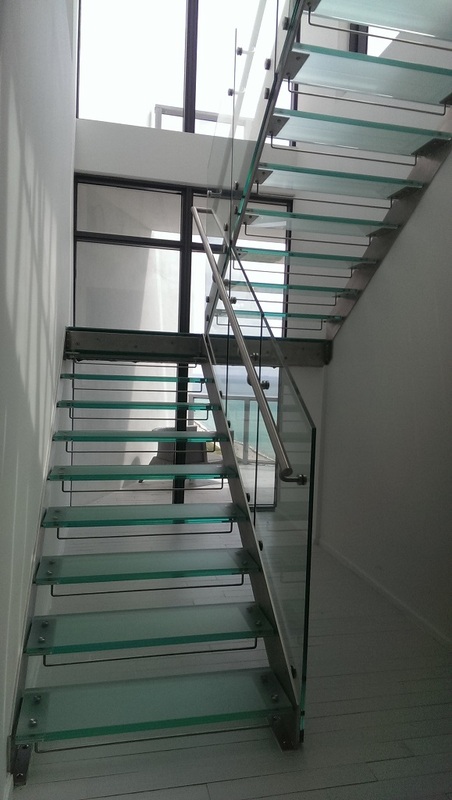 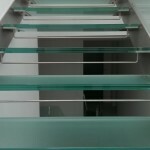 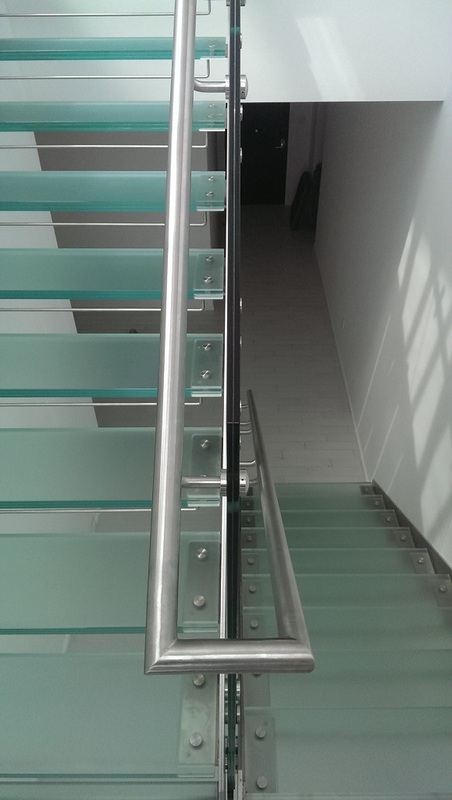 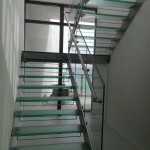 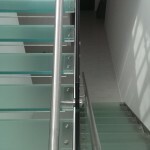 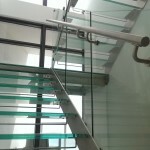 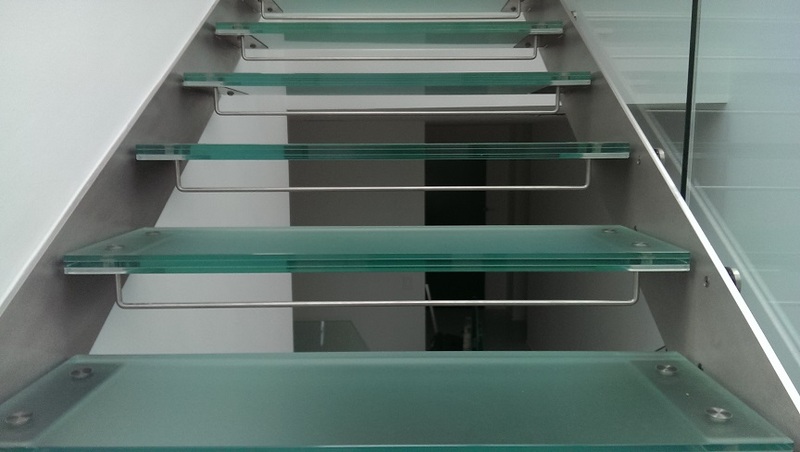 A penthouse in the Miami Beach area received an immaculate modern glass stair makeover. 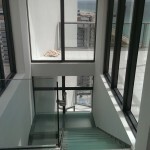 The old concrete stair & stainless steel railings blocked the window behind it, obstructing beautiful ocean views and natural sunlight from filling the home. 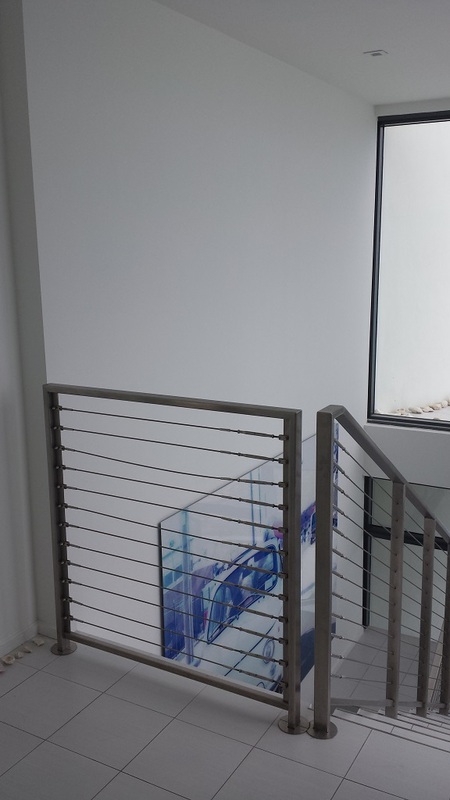 Since the staircase is featured directly in front of the entrance to the home, the foyer was expanded. 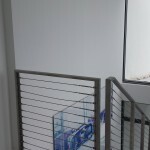 The guest bedroom door was also relocated, creating a much more spacious entrance. 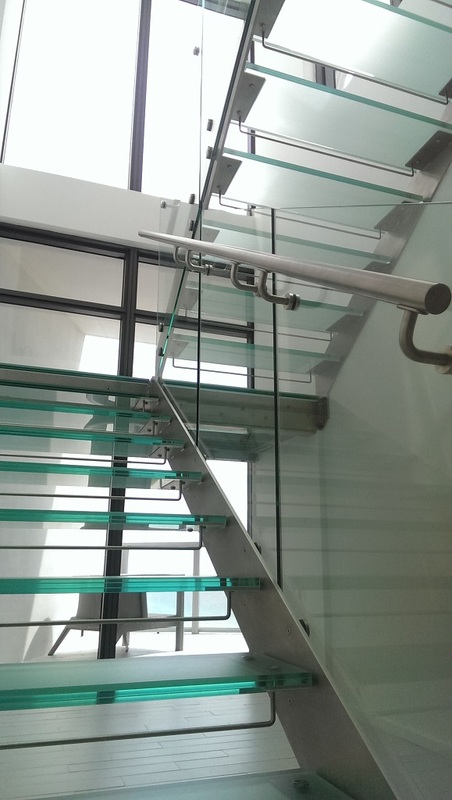 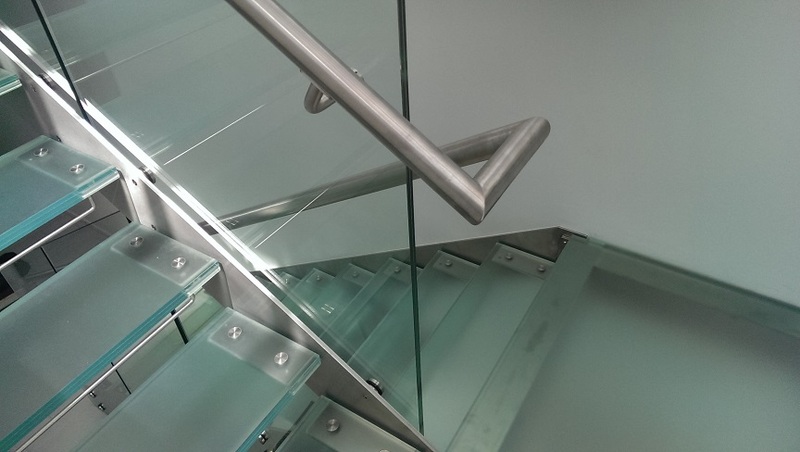 We installed a dual stringer staircase that features frosted glass treads, a frosted glass landing, clear tempered glass railings, and a stainless steel handrail that was mounted directly onto each glass panel along the staircase. 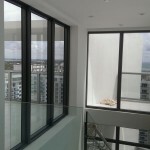 The owner of this modernized penthouse chose for all of the stainless steel elements to be in a brushed finish. 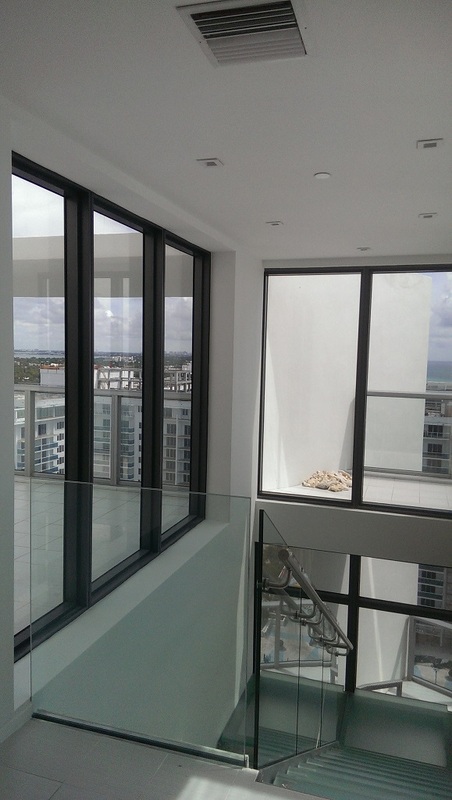 On the second floor, we added an additional window to allow a view of both upper roof decks. 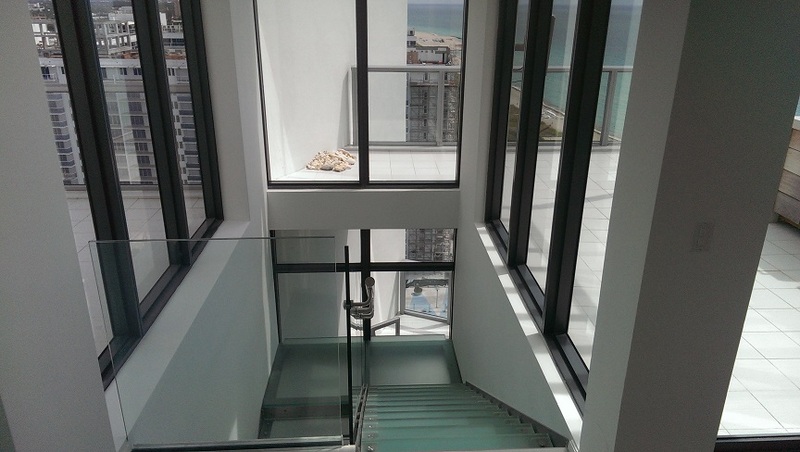 The result, a staircase that is as breathtaking as the ocean views below.